Have you noticed your usually hearty eater has become grumpy at dinner time? Maybe pinning his ears? Eating slower or not at all? Has your horse started swishing his tail or moving around when you tighten the girth but you have already ruled out poor saddled fit? 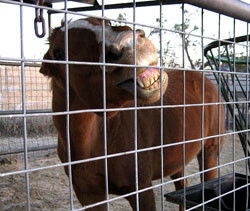 Well you might be dealing with an equine ulcer. Since horses can’t verbally tell us what is wrong, behavior changes are usually the first indicator that something is amiss. Horses associate a negative result with the most recent thing that has happened so they might be associating eating with pain. 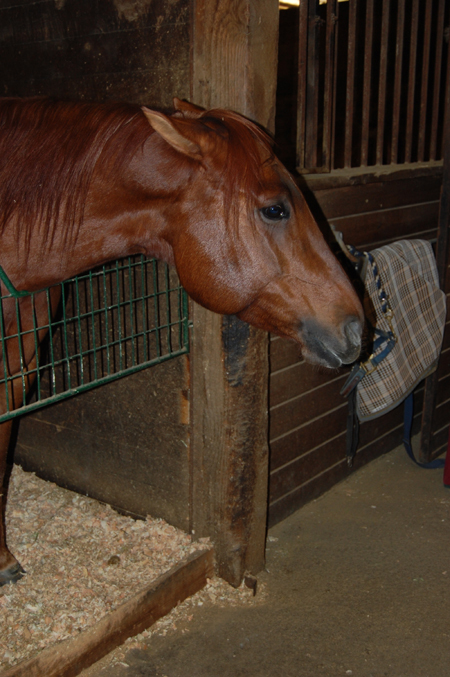 Cranky behavior around dinner time might be a sign that your horse is getting the pain of a stomach ache after eating. If you have ever had to deal with an equine ulcer (and since 65% of horses have had them so chances are you have) then you might find this article helpful. Even if you are lucky enough to not have had to treat an ulcer yet, it’s always good to understand all aspects of horse health. My journey into alternative treatment for ulcers started with a nutritional consultation for a client in California. She was interested in finding a more natural way to treat her 10 year old Arabian gelding for his reoccurring ulcer issues. She is a firm believer in a natural and organic lifestyle for herself and her horse. This represented a bit of a challenge, a fun and fascinating one, but still quite a task. My traditional protocol suggests utilizing Omeprazole or another pharmaceutical treatment so to treat and prevent re-occurrence without them required viewing the equine ulcer from a different perspective. • Sporadic feeding rather than constant access to grass. • Prolonged fasting (e.g. long trips, long period of time between last feed of the day and the morning feed). • Any Problem elsewhere in the gastrointestinal tract. • Use of non-steroidal anti-inflammatory drugs and corticosteroids. • Grinding of the teeth. • Slow eating, often walking away without finishing meals all at once. 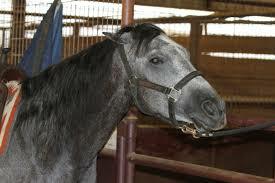 • Picky appetite that includes the horse refusing foods or supplements that were consumed readily before. 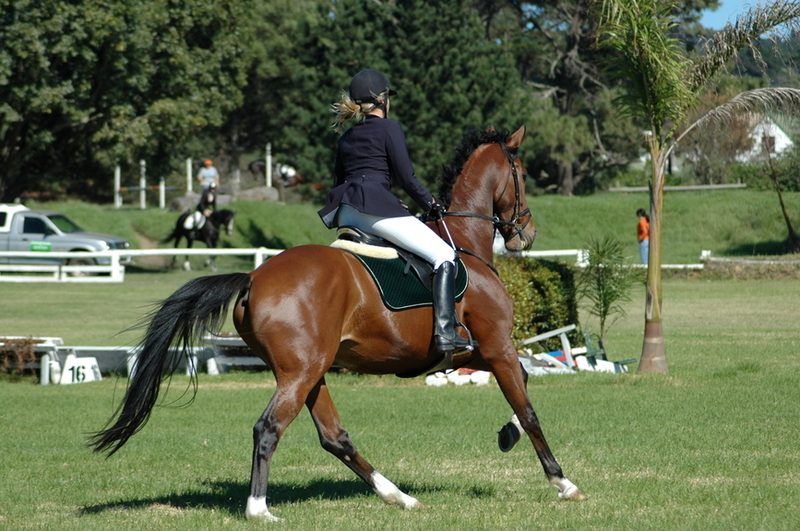 • Sensitivity to touch around the horse’s lower belly/sternum area. Here is a video of a palpation method of diagnosis which is a very good place to start. 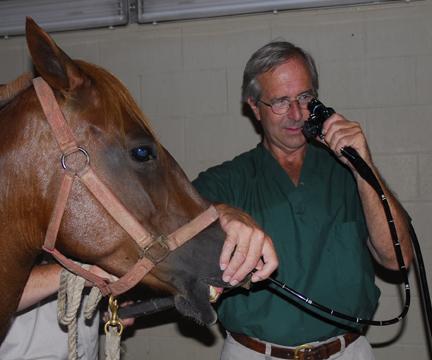 If your horse has experienced some of above mentioned causes and exhibits symptoms then call your vet. The only way to definitively diagnose gastric ulcers is to examine the stomach directly with an endoscope at a veterinary clinic or to do a sucrose-absorption test. Okay He’s Has an Ulcer. What now? Back to my client. She rescued a 10 year old Arabian that had been confined, beaten and ignored nutritionally. Not too surprising he had ulcers. 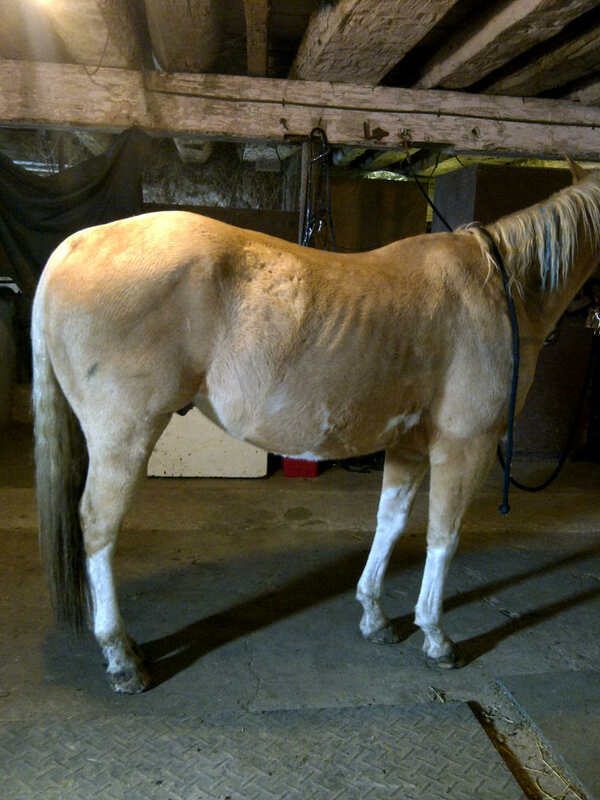 This is her horse “before”. Poor hair coat, underweight, miserable. There are actually 3 kinds of ulcers; stomach, duodenal and colonic. Her horse was diagnosed with a stomach ulcer so that is what we are discussing here. All ulcers require a three-step process; heal, manage and prevent. 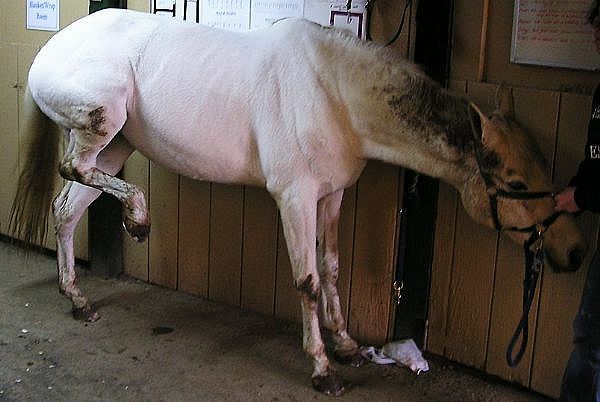 A horse with an active ulcer in his stomach or colon needs immediate treatment to start the healing process. While it is healing there are management steps that can aid the process. 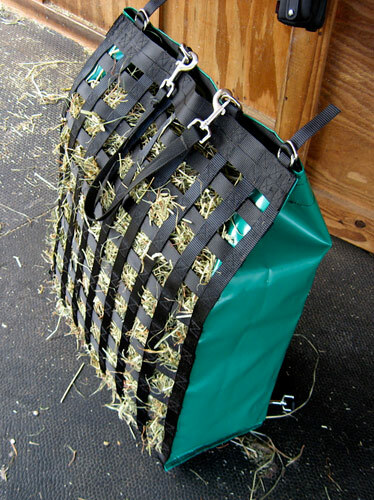 After it is healed (or in the horse without an active ulcer) prevention is the key. 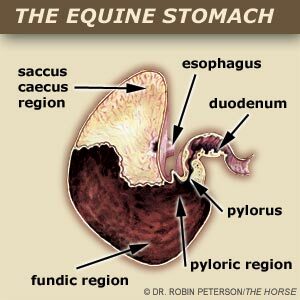 As I mentioned before, there are the traditional medical treatments that can be used for the treatment of equine stomach ulcers like acid reducers. These treatments will reduce acid in the fundic portion of the stomach and will help heal an active ulcer. 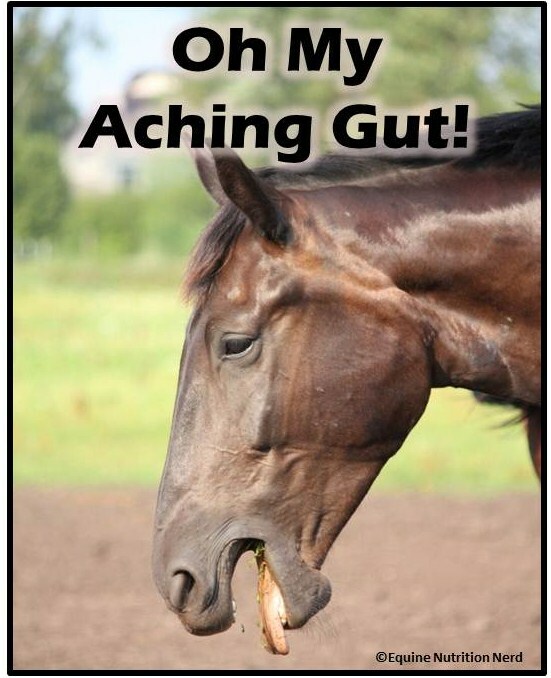 But wait, as an equine nutrition nerd I know that stomach acid is an extremely important component of the initial stage of the digestive process. If there is not adequate acid in this initial stage of digestion to break down food, it will pass into the small intestine only partially digested. 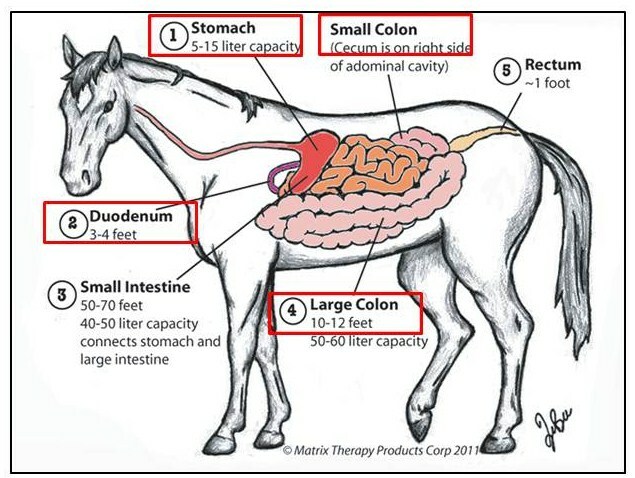 The small intestine won’t be able to absorb the nutrients so your carefully designed nutritional program will not provide for your horse like it should. Simply put shutting off stomach acid is not the long term answer. So with this side-effect in mind I looked at alternative products for long term treatment of ulcers as well as long-term prevention. With my client’s horse the first thing we had to do is heal the ulcer he had while managing him nutritionally to support his immune system and add weight. 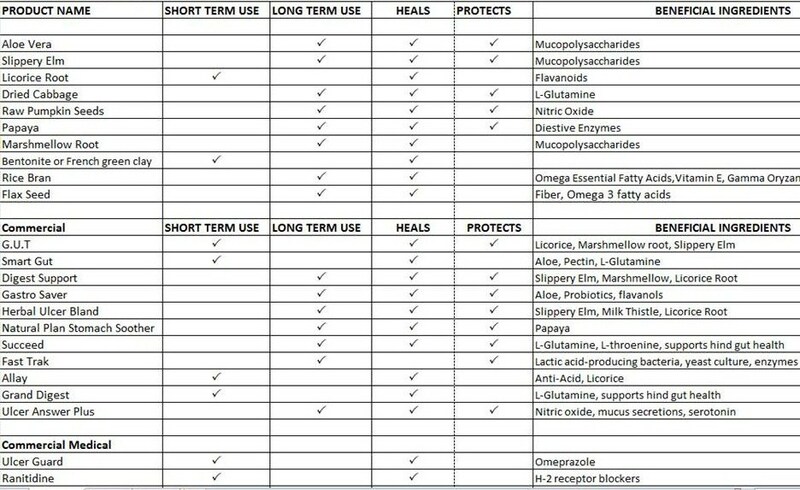 We examined the following natural products which are all known to help in the healing process. Aloe Vera Juice- Aloe is high in digestible fiber, which gives it the properties of lowering bowel transit time, absorbing toxins in the bowel, regulating colonic bacteria, and soothing and protecting the digestive tract. Aloe also contains a complex mixture of mucopolysaccharides (complex sugars) that nourish cells and support them in replicating. This property is especially important for the healing of pre-existing ulcers. 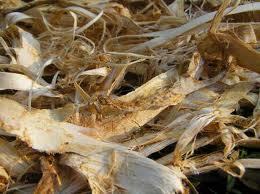 Slippery Elm- Slippery Elm has similar properties to Aloe. In addition to having intestinal benefits similar to that of Aloe, Slippery Elm bark helps regulate bacteria in the intestine. Slippery Elm is often combined with Aloe juice for best results. 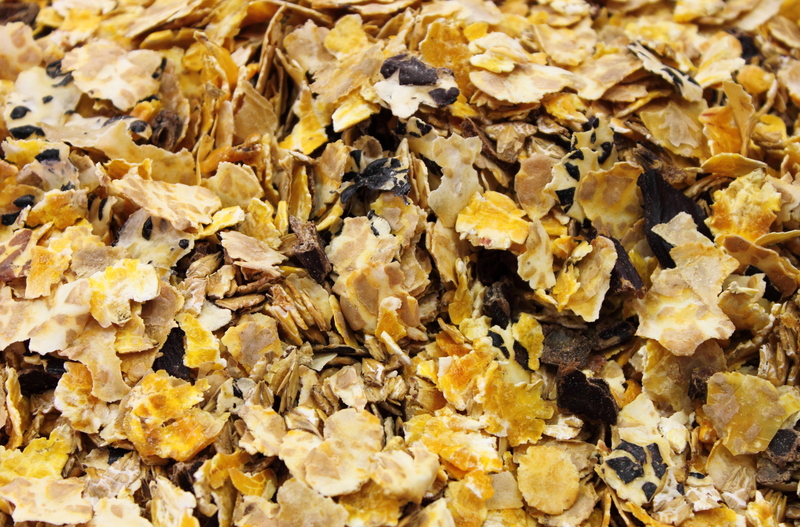 The mixture can either be added to the horse’s feed or syringed directly into the mouth. Licorice- Licorice owes its anti-ulcer properties to flavanoids. These flavanoids can actually lower gastric secretions so this herb is not suitable for long-term prevention of ulcers. Licorice also has an anti-inflammatory property similar in strength to steroids so it can be very effective for bowel inflammation but it should be discontinued as soon as the condition is resolved. 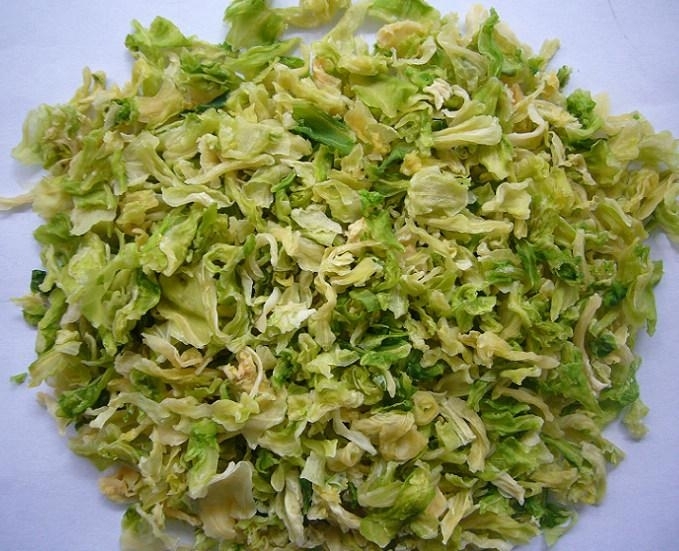 Dried cabbage- Cabbage is full of the amino acid L-Glutamine, which has been proven to heal the stomach lining. Raw pumpkin seeds (peeled/hulled)- Pumpkin seeds are high in Nitric Oxide which the body uses to heal everything that needs healing. 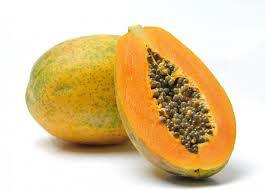 Papaya- Papayas contain digestive enzymes that digest proteins by breaking the protein content. The enzyme that helps in digestion is mostly found in unripe state. An active enzyme fibrin is found in papaya which acts as healing reagent for external and internal wounds. Papain stimulates the production of mucous. 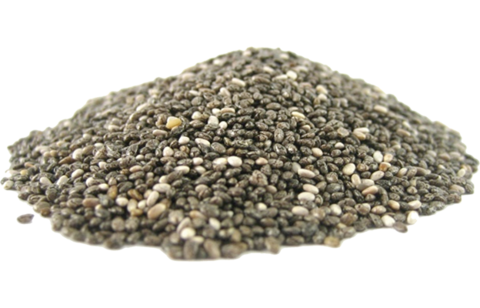 Chia Seeds- I love chia seeds. I eat them every day. If you soak one in water it gets all gooey, like jello, which is due to a gel-like substance found in most plants called mucilage. Mucilage helps soothe the pain and inflammation associated with gastric ulcers by forming a protective barrier on the mucosal surface (Borelli and Izzo, 2000). 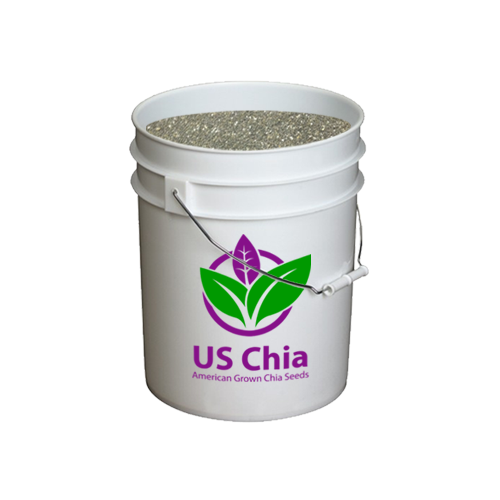 Chia is also really high in fiber, so it helps to slow the passage of food through the digestive tract allowing more time for the buffering of acid. 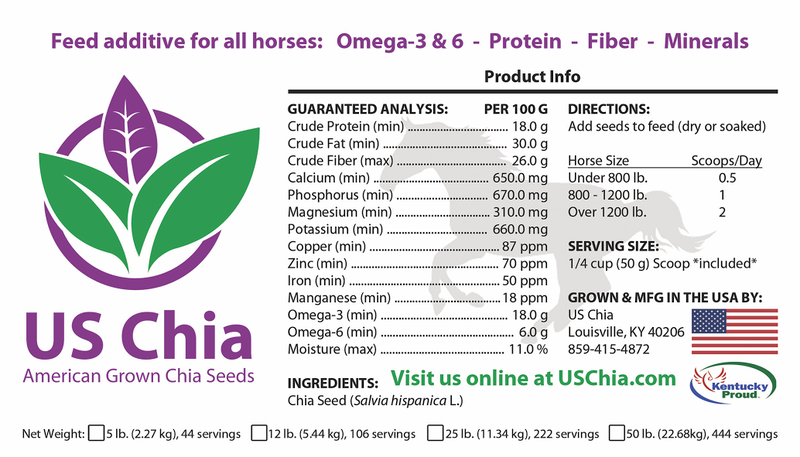 There is even a company, USChia that makes chia just for horses so this is a no-brainer! With this knowledge in hand we designed a feeding regimen for her horse for two weeks to heal the ulcer. NOTE: As with all feed changes, you should take one to two weeks to work up to the suggested amounts. In my client’s case the staples of his regular diet (hay, beet pulp, rice bran, flax seed) remained the same and we just added the ulcer treating ingredients. 1/2 cup ground Flax seeds (omega 3 fatty acids in the diet are helpful in reducing inflammation in the tissues of horses and potentially assist in the strengthening of a weak immune system. 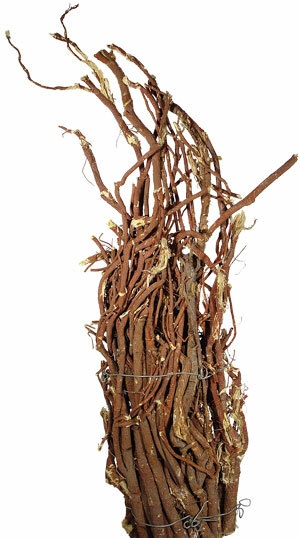 Licorice- we used a herbal extract in alcohol form of the herb and gave 10 to 15 cc for the first 10 days. He also had free choice hay in a slow feeder net and daily turn out with grass. Equine management practices that help during the healing phase of an ulcer include reducing stress, keeping the gut moving and full. Turnout and slow feeders really help here. You can aid the equine digestive process with natural products designed for long term use. Check out the chart at the end of the post for a quick reference guide. In addition to the pain of his ulcer my client’s horse needed to adjust to a new environment and that added to his stress. We added Silver Lining Herbs #20 Keep Cool. With the help of this diet and management strategies he began to eat more, fret less and his coat and attitude improved dramatically. After her horse recovered we put into place a prevention plan that would aide in keeping him ulcer-free. 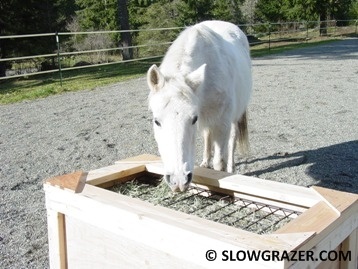 This included free choice hay in a slow feeder (or pasture), we added frequent small feedings of a shredded beet pulp, stabilized rice bran and flax seed mixture. We continued the nutritional support of probiotics, enzymes (papaya), and when she started riding him we added alfalfa pellets in for protein and she started using Silver Lining Herbs #30 Digestion. There are commercial feeds on the market that mimic this diet of beet pulp etc. but she really wanted to use natural and organic feedstuff and commercial mills don’t offer this. If you are looking for a commercial feed for a base diet that has the same benefits as our mixture check out a beet pulp based feed with added Omega 3s (flax & rice bran). There are also many natural supplements out there if the thought of mixing and adding all these ingredients is intimidating. This enhanced formula includes GastrAvert™, a proprietary blend of sea buckthorn, glutamine, aloe vera, pectin, and lecithin. Also anti-acid. Made from 100% human grade papaya from Healthmate Products. Oat oil in SUCCEED® contains a high concentration of polar lipids, Oat flour which is rich in beta glucan, a soluble fiber that provides support for a healthy immune system. Glutamine is an amino acid that provides fuel to muscles. It also supports the immune cells in the intestinal mucosa (the lining of the gut). Threonine is another essential amino acid that supports the production of mucin, a necessary component of mucus that lubricates the GI tract lining. Allay is an all-natural nutritional antacid for horses. This formula contains naturally-occurring Magnesium Carbonate, plus Yeast Culture digestive aids and soothing Licorice extract in a tasty granular form. Grand Digest is designed to support the entire digestive process from the stomach, through the small intestine and into the hindgut. Grand Digest contains a combination of Toxynil Plus and Zeolites to dramatically reduce the risk of mycotoxins entering the bloodstream, and Glutamine to help protect the sensitive stomach lining from the risk of ulcers. My client’s horse has been ulcer free for over a year and has truly blossomed. It’s hard to say whether the improved (less stressful) living conditions were the reason or the ongoing nutritional management program she uses. It’s probably safe to say both help. Remember each horse is different so you might need to explore various strategies. If your horse has ulcer symptoms combined with bouts of colic he may be dealing with a hindgut (colonic) ulcer rather than a stomach ulcer. Look for a future post regarding the symptoms and latest research on this type of ulcer. Campell-Thompson, M.L. and A.M. Merritt (1990). Basal and pentagastrin stimulated gastric secretion in young horses. Am. J. Physiol. 259:R1259-R1266. Equine Gastric Ulcer Council (1999). 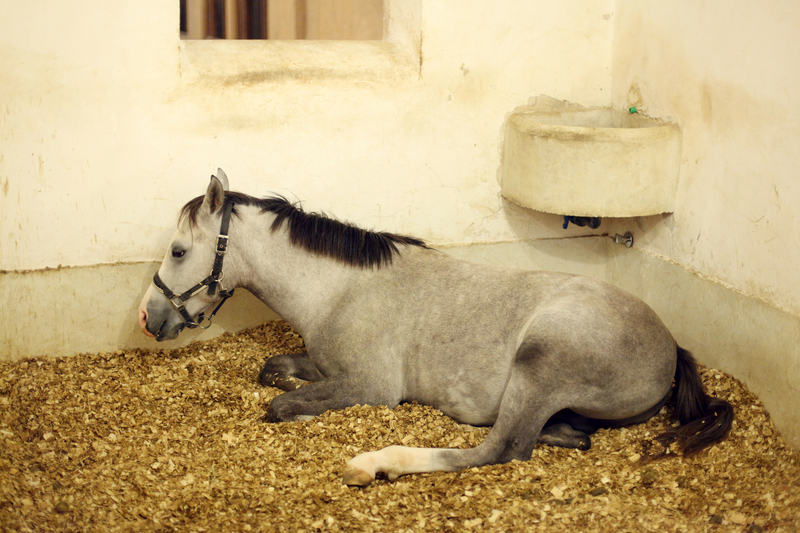 Recommendations for the diagnosis and treatment of equine gastric ulcer syndrome(EGUS). Eqine Vet. Educ. 11(5):262-272. Kiviluto, T.; H. Paimela, H. Mustonen and Kivilassko (1991). Exogenous surface active phosphpolipid protects nectrus gastric mucosa agaist luminal acid and barrier breaking agents. Gastroenterology 100:38-46. Lichtenberger, L.M. ; Z. Wang, J>J> Romero, C ulloa, J.C. Perez, M.N. Giraud and J.C. Barreto (1995). Non-steroidal anti-inflammatory drugs (NSAIDS) associate with zwitterionic phospholipids: insight into the mechanism and reversal of NSAID-induced gastro intestinal injury. Nature Med. 1:154-158. Mcneil, P. ande S. Ito (1989). Gastrointestinal cell plasma membrane wounding and sealing in vivo. Gastroenterology 96:1238-1248. Smith, C.A. (1991). 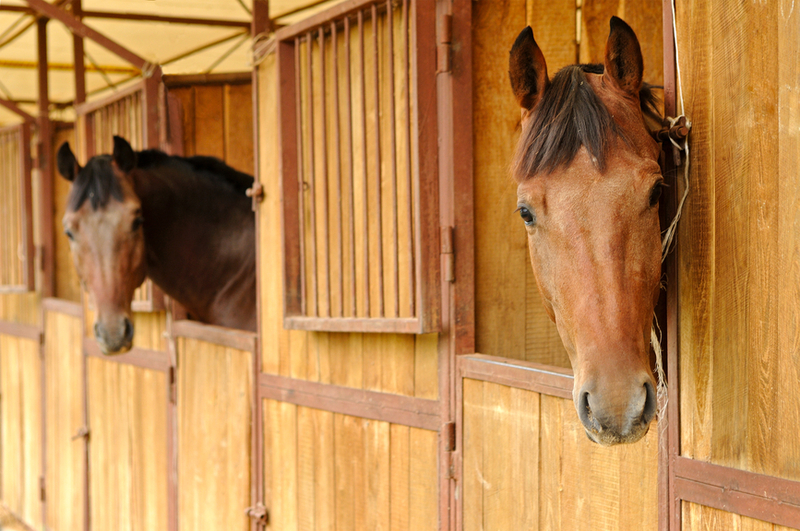 Could your horse have an ulcer? 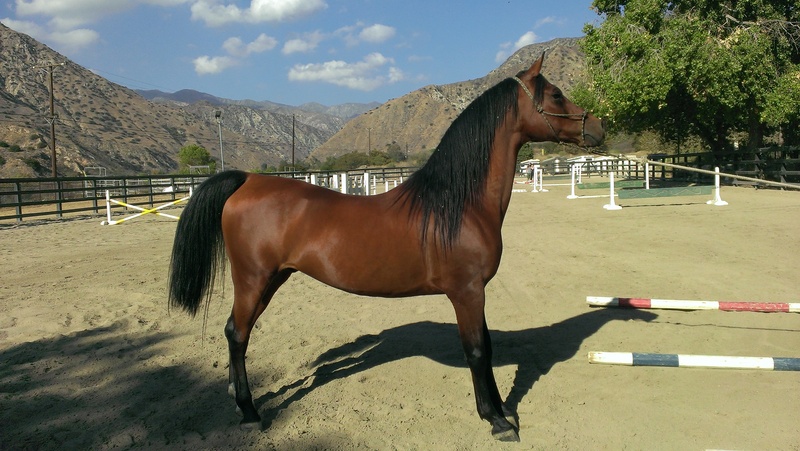 The Morgan Horse. Sept. pp 114-116. I love this article! I have a couple of OTTBs with ulcer issues and I much prefer to treat them naturally. I do have one question. Is the very high level of omega 6 in pumpkin seeds a problem? Or do the other nutritional benefits outweigh this concern? Hi Cathy and thanks for writing. As with any other type of supplement you do need to address its contribution to the over all ration. 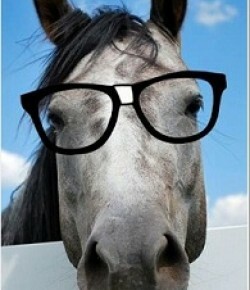 There is very little research to the omega-3:omega-6 ratio in horses (lots in people tho). 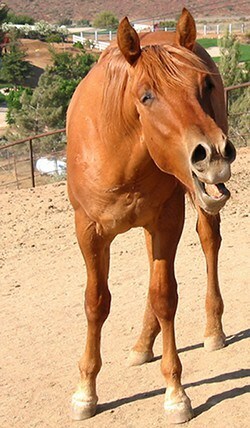 The theory is that horses can react to too many omega-6s in behavior issues (extreme spookiness, unmanageability, anxiety, cribbing), joint health problems (premature arthritis, injuries that fail to heal 100%) and fertility concerns (weak or insufficient sperm, a reliance on hormones for mares), among others. To “mind the omegas” takes just a few easy steps. 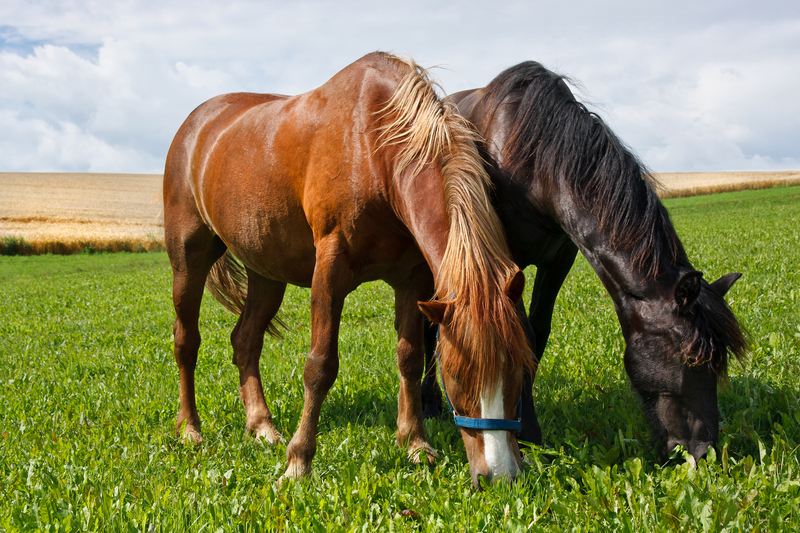 First, make sure you have a diet HIGH in quality forage (best source of omega-3s for your horse). You can also help to balance the diet with an omega-3 supplement, such as fish oil made specifically for horses or flax seed oil (contains ALA, some of which your horse can translate into EPA and DHA). Since one ounce of flax seed oil has a 4.5:1 omega-3 to omega-6 ratio and 1 oz. 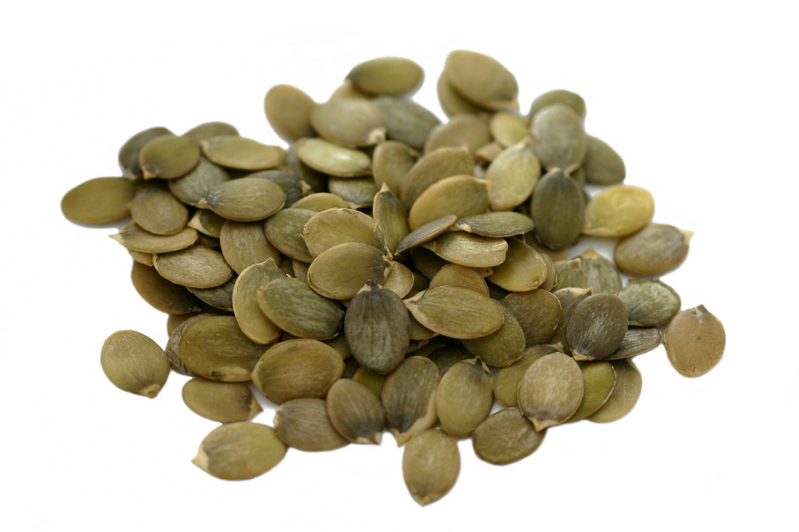 of pumpkin seeds have a 0.02:1 omega-3 to omega-6 you can easily address this. Finally, if you want to add the pumpkin seeds for their effect on ulcers you must not feed other supplemental sources of omega-6s such as vegetable and corn oils, or rice bran. Hi. Thank you for this fantastic information. I was hoping I could ask your advice about my OTT. He raced extensively overseas before I got him and has come with what I am sure are dreadful ulcers. I have not had him scoped, but he has all the signs including 2 or the 3 sore points. I have already treated him with veterinary medicine for 6 weeks before Christmas and they settled down well and he was a much happier boy. I think I then made a mistake with his feed. I usually only feed him Lucerne Hay and Lucerne and wheaten charf. I read that Speedi beet can be good for horses with ulcers to aid digestion so I gave him some, but I also gave a small amount each day of coppa (which I was giving before the treatment to try and build him up a bit as he is also a wind sucker). Anyway, the symptoms have returned. After reading this article I am going to try a more natural approach and would love some advice. I purchased some liquorice root powder which you make into a tea, which I thought I could put in his food for the first 10 days. I also purchased some slippery elm powder, Aloe Juice and Chai seeds. Could you please advise if I should give all of the above at the same time and what amounts of each you would recommend. Thank you so much for your time and advice. Hi Cathy and thanks for writing. If it was me I would not add or change everything at once. Gradually change/add things over a one week period. 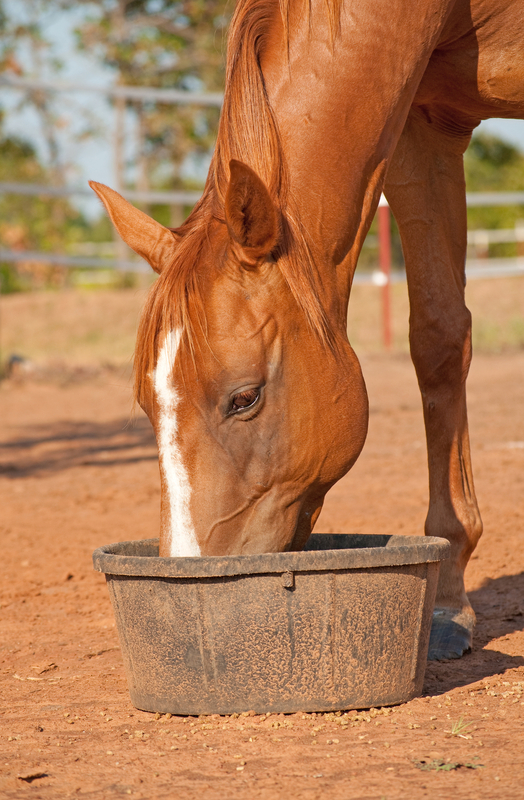 Any dramatic changes in a horse’s diet can upset the microbial population and cause upset. Please refer to my article again for amounts to feed of your supplements. Also a product for mud fever , not sure if you suffer with it over there . If I have licorice and slippery elm in powered herb form how much would I give each day for 10 days? You can use the slippery elm (1 tablespoon 2x/day) indefinitely as well as aloe vera juice (1/2 cup 2x/day). I would recommend using the liquid form of licorice root (10 drops per day) as it gets into the blood stream quicker and avoids the stomach. It should not be used longer than the 10 day treatment period. So glad to have found this article! I have a retired reiner that we’ve been treating for ulcers. I have been uncomfortable with the conventional treatment, knowing that stomach acid is so important for proper digestion and immune health. His symptoms have been mainly behavioral (ie very cinchy and cranky) as well as eating a bit slower than he normally would. In the healing protocol, it appears that some of those items are for adding weight to the horse. I have a very easy keeper so I’m guessing I should drop some of those items that are geared towards weight gain. What would you recommend dropping in order to not cause him to gain too much weight? Thank you so much for any suggestions you can provide! The amounts are so low in these I really don’t think it will add that many extra Calories. Thanks for all the information!! 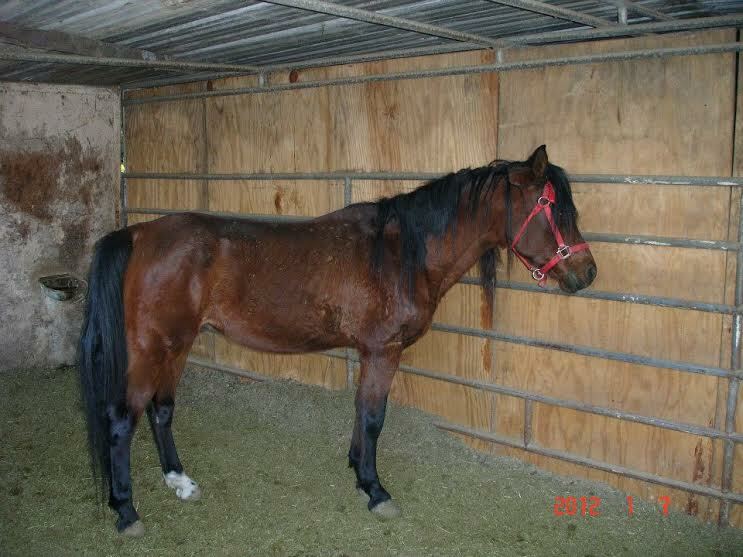 I have an older OTTB gelding who I would like to start trying the all natural route of treatments and maintaining him. However slightly confused in regards to the amount to give him. 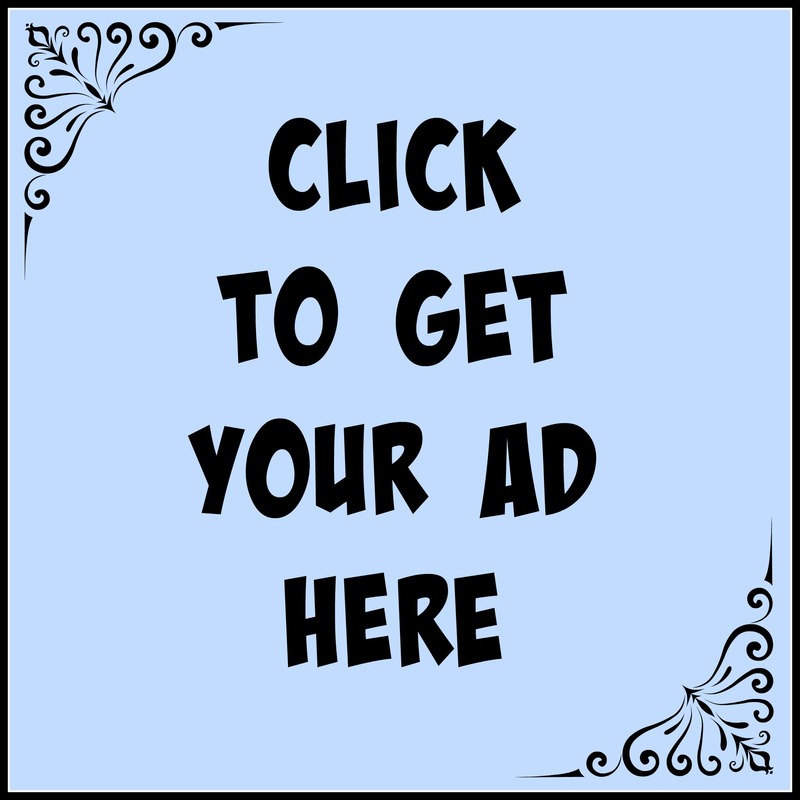 One person asked and you mention a 1/4 cup twice a day and another person asked and you mentioned 1/2 cup twice a day. 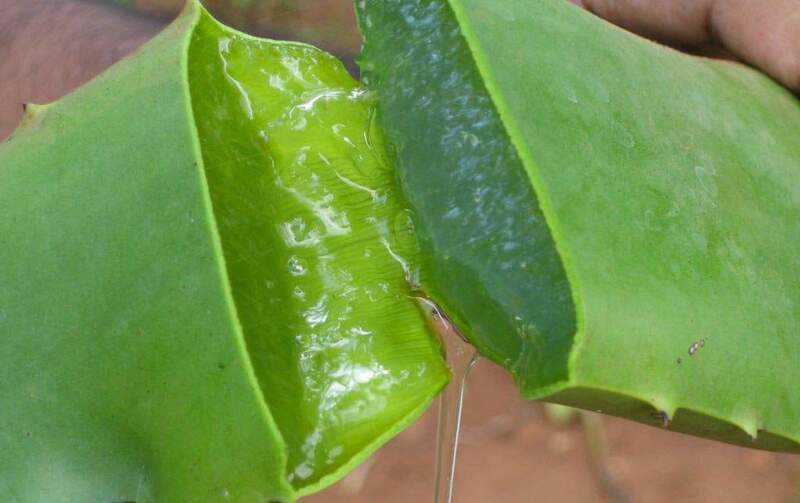 Which would be the best or does it come down to no more than 1 cup of aloe vera juice a day period? Thanks for all your help. It depends on if it’s a maintenance or treating dose. I would use 1/4 cup for maintenance. Wonderful informative information. Thank you! What form is the papaya that you use? Dried chunks or powder?